Continuing the last post, about the stairway to the towering Tokyo Sky Tree, Solamachi. On the last post, I’ve covered some of the things we could find inside this foundation of Tokyo Sky Tree. On this post, I’m going to cover about the restaurants inside this department store that are going to let you taste the towering delicacy and of course, about the well-known clothing stores where you could get yourself with lots of up-to-date goods from various designers. Now, enough of chattering, let’s go back to this Sky City..
One of the things you should be careful of in Tokyo, especially when you’re a shopaholic, is lots of bargains of smart and classy clothes. Ranging from the street wear clothing brands to the high-end clothing brands, all of them you could find easily in this Metropolitan of Tokyo. Fortunately, in this place which I’m covering now, you could also find those charming clothes from various designers. Let’s take a slight look at the stores in Solamachi.. Though not as many as the other giant department stores focused on clothing, the choices of stores inside Solamachi are quite decent, vary from the casual clothing brands to the brands that offer more complicated designs. Moreover, most of the stores here offer the goods with quite reasonable prices, which won’t choke our wallet to death. One of the essential things for the department store to gather lots of people to come is restaurant and cafe. 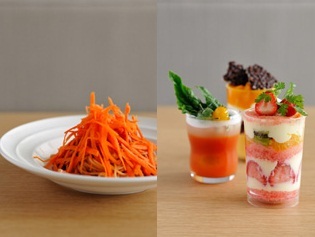 Moreover, since most of the Tokyo people is living in apartment, so most likely, they would find their meals outside and the restaurants and the cafes in the department stores is one of the many choices. One of the new choice for the Tokyo people to seek for their meals is inside this Solamachi. Lots of restaurants and cafes are going to mesmerise you with their eye-catching design of the places and obviously, their foods. Let’s take a peek at some of the restaurants and cafes in Solamachi..
Lemson’s by BEAMS is a self style soft cream bar where you could choose your own favorite flavours, topping, and amount. You can enjoy a variety of seasonal vegetables with pasta made ​​of rice flour. All of the menu are agricultural products. 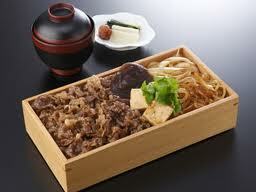 When I was in the Solamachi for the first time I had udon as my lunch at Rokurinsha Tokyo. 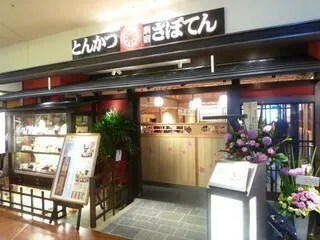 Since I was there at the lunch hour, I had to queue in a long line first before I could have a bowl of my udon. However, because of the quick service from the employees I only waited about half an hour and I think it could take more time in other countries. Because I was at the Solamachi twice, I had another chance to have my lunch there. To be honest, I would be fine for me if I had lunch at Rokurinsha udon again, but I had my lunch at another restaurant, and fortunately, it turned out that the foods there were also superb! That time I had my lunch at Saboten, it is a tonkatsu restaurant. Eating at this restaurant is kind of funny since we would have to make the sauce for our tonkatsu first. At the time I was there I didn’t have any idea about how to make the sauce, but fortunately I was there with my girlfriend and her mother, so they taught me how to make one. I had to mash those small weeds inside a tiny little bowl using a stick of wood, kind of weird for me but it was interesting. After all of the seeds were mashed into pieces, I had to pour some of black sauce into the bowl, after that my own sauce was done. Here are some of the picture so you could describe it.. The food itself was really great, much better than the other katsu. In one set, I could choose some type of tonkatsu, there are a long one, a round one, etc, but all of them are delicious. I also used the black seed sauce that I made myself just now, and it was really tasty! Aside from that black seed sauce, there was also mayonnaise sauce, so lots of choice but all of them was great! In every bite, you would feel the crunchiness of these meats and the overwhelming smell of it inside your mouth that distinct it from the other katsu. As a side note tonkatsu is not HALAL since it’s made of pork.